It saddens me a great deal to have to feel compelled to write my perspectives on this topic. You see, it may come as a surprise to people down-under how the international media report on certain incidents and the subsequent perceptions that are created overseas. It may also come as a surprise to those overseas, that they have had misconceptions created in their minds by the same media outlets due to sensationalism and gross misrepresentation of the incidents. It has become a very hot topic in Asia (in many circles) that Australia is no longer a safe place for ethnic Indians or Asians to travel to on vacation, for study or for immigration. This has been brought about by the reports on the increased numbers of violent attacks against Indian nationals and has escalated exponentially over the last six months. Before you read on, I implore you to keep an open mind. It is commonly known that many media outlets will portray and sensationalize any incident to attract more viewers, increase traffic or sell more newspapers. This is often done at the risk of either not telling the full story, or by creating perceptions through half truths. The things I’ve been hearing lately and reading on online forums in Asia, are things like “Aussies are racist”, “Ang Mohs (Caucasians) are always violent toward Indians and Asians”, and in the ‘intellectually-challenged’ forum which I torture myself to visit from time to time, came this little nugget – “Ozzies teach you how to get rid of FTs”. This is very, very sad indeed. Firstly and foremost – violent attacks on any innocent person, regardless of race or skin colour, is categorically wrong!! When it comes to the (international) reporting of the recent spate of attacks in Australia, there seems to be a common trend in the information not being published. 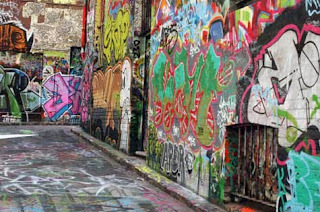 For example, the largest proportion of the attacks have been perpetrated either by other non-Australian ethnic gangs, or unrelated incidents fuelled by alcohol and poor upbringing. There is actually quite little evidence to equate most of the incidents to some sort of racially motivated hate crimes. I am in no way saying that any of the victims brought about their own assaults, but it is important also to note the situation they were in at the time. As an Australian myself, there are certain parts of the cities and suburbs where I would not feel safe walking late at night. If I did, it would be a crime just waiting to happen. These unsafe areas have been the scene for many of the recent violent attacks. It is important to note that attacks on Australians in these same areas do not so much as create a story in the international media – it has only attracted the attention of the outlets when the victim is of Indian or Asian descent. When I travel anywhere in the world, I always use common-sense and research the “dos and don’ts” when it comes to personal safety. One just needs to watch the series ‘Holiday Hostage Hell’ to see what could (and does) occur when this attention to one’s safety is not paramount. Just last week an Australian man was jailed for attacking a ‘man of Indian descent’. The motive suggested by much of the international media was racial hatred. The truth is, the unfortunate victim was a cabbie, the assailant was a drunk ‘yobbo’ who’s state of mind would have caused him to set upon the cab driver regardless of his race. So my message here is simple – I firstly implore anyone that has been dissuaded from travelling down-under due to media reports, to not believe everything that people want you to. You should investigate further and attain the appropriate information to make a truly informed decision. Secondly, to the sensationalist media outlets (although this will land on deaf ears) – I implore you to begin reporting without the ‘half truths’ and stop attempting to create something that just isn’t there. It is my very strong belief that the agencies should be displaying some sort of ‘due diligence’ here. 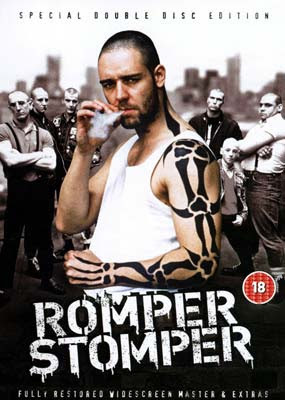 In closing, based on some comments I’ve read recently online, I’d like to point out that the movie, “Romper Stomper” launched Russell Crowe’s career, and we all know that poor Russ is no longer a ‘spring chicken’ – this was a make believe drama that was in the cinemas decades ago – it’s NOT real!! Well said Pete. I saw the same distortion by the media (CNN especially) on the subject of Tibet and China. They even printed cropped and touched-up pictures to portray Chinese police as violent... the police in the picture were not even Chinese and the part of the picture cropped-out was of the "victim's" buddies attacking the police car with fire bombs. It's all about perception. In a way it's repression by the media to not allow viewers to make an informed decision based on real facts. "...largest proportion of the attacks have been perpetrated either by other non-Australian ethnic gangs..."
What are "ethnic gangs" (as in do you mean they are non-white? ), and how do you do know that they are not Australians? Just askin' you know. Malaysia has also had its image bashed in the international media recently. it gets so tiring to explain yourself to outsiders. There is a common misconception about this. While there have indeed been plenty of non-white as well as white people involved in these attacks, the Australian media has also been a bit selective in which cases it highlights. For example, the bashing of Sourabh Sharma on a train, captured on CCTV, clearly contained white kids as well as Pacific Islanders. This was widely described as being an "ethnic gang". "The truth is, the unfortunate victim was a cabbie, the assailant was a drunk ‘yobbo’ who’s state of mind would have caused him to set upon the cab driver regardless of his race." If that is true, it raises the issue of race. Race may not be the REASON for the attack, but it may be the factor that turns it into an assault when it may have otherwise been just a minor incident or none at all.